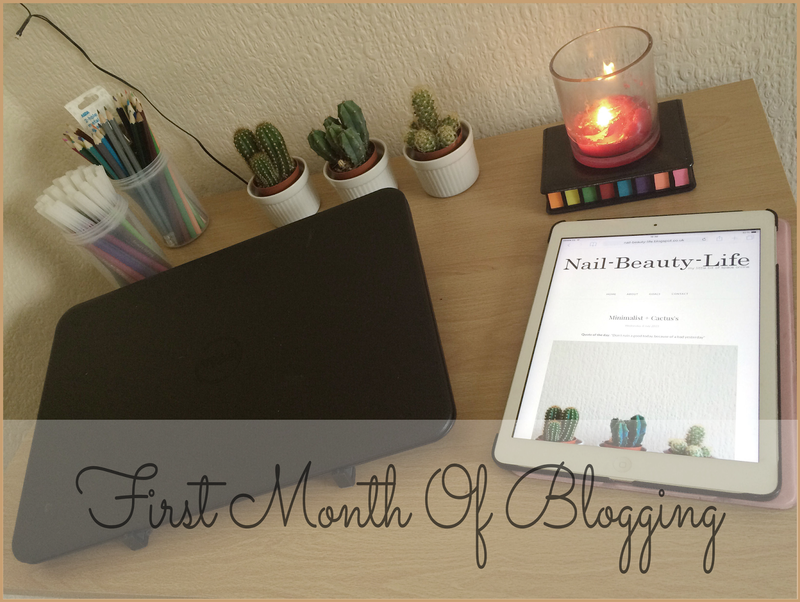 In today's post i thought i would share with you the few things I've learnt in my first month of blogging. These things may be different to what you have all learnt but i guess everyone has there own views. I was a bit worried about posting the "Communicate" part, as i wasn't too sure how some would take it, but I'm in no way having a moan in that part its just my view on what i have noticed happening a few times in the last few weeks. Originality - Only do what you feel is right and fits with your blog, never look back at your blog and try and compare it to someone else's blog. Some of the post's I've done, I've only done them because its what i personally have wanted to write about. Never write a blog post just because you think it might be the "popular" thing to write about at that time, readers of your blog come to view your blog for your content, not what they've seen 5 minutes ago on someone else's blog. Also know that not everyone is gonna like what you write about, but as long as you like it then that's all that matters. Planning - Take some time to sit down and think about what your plans for your blog are. Before i started promoting my blog i wrote down a list of potential blog posts that i could write about, and split them up into different sections (for example: Reviews - Lifestyle - Shopping - Random). By doing this if you ever find yourself getting "bloggers block", you will have some posts to fall back on and complete those, I have these written down in a notebook aswell as on my phone using the app Wunderlist (I actually think i would be lost without that app now haha). Learning - Even now after a month of blogging, i am still learning so much about how to take the perfect photo to go with a certain blog post. Pinterest came in handy when i first started to blog properly, I just typed in "blogging tips" in the search bar and theres so many pages that come up on there, I think i spent a whole day just reading through some peoples "blogging tips posts". So even if your blog has become successful, don't ever stop trying to learn new stuff, as i can guarantee you will always find out something new when it comes to blogging. Communicate - So you post on Twitter/Facebook advertising your new blog posts, or just asking questions in general. If people on there take the time to reply to you even if its just to say "hey, i like your blog" or "i recommend......", take the time to reply to those people. As i can guarantee those are the ones you are most likely to strike up future conversations with. I have noticed on Twitter though that some "bloggers" will only talk to/reply to those who have the most "successful " blogs and ignore everyone else, even if these "bloggers" all started out where most of us are now....and nope I'm not jealous in the slightest it just drives me mad where you take the time out to go to there blog, comment on a post you like, maybe even send them a tweet about it, yet they cant spare 5 minutes to reply back to you. Ok that sounds like I'm moaning a bit, honestly I'm not haha but i will always say exactly whats on my mind! Does this drive any of you mad, Or is it just me? Advertising - In the first month or so of starting your blog, its only normal that you wanna get your link out that in as many places as possible (yes I'm guilty of over doing it on twitter in the first week haha). But try and figure out whens the best time to put your blog out there, if I've just put a new blog post up i will tweet a link out about 9:00am, then i will schedule 2 more tweets through HootSuite and these will go out about 12:00pm and then again at 4:00pm. I have noticed though that the views on my blog go up the most in the early hours of the morning even without me tweeting a link to it, so what I've now started doing is again through HootSuite, I will schedule a tweet to go out about a new blog post and will set the time for this to go out at 4:00am. So obviously i will be asleep when this happens but that time is when i see more activity going on through the stats on my blog when i check it the next day. If you've managed to read this far, then i will say thankyou for reading what i have had to say, as i know i did go on a bit in this post lol.